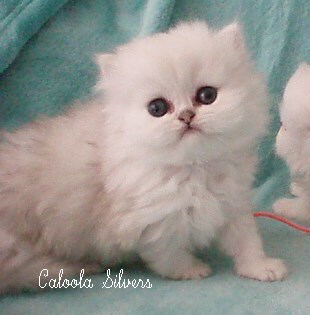 CALOOLA KITTENS are born and raised in our home and we only sell to indoor homes. Our aim is to breed for Good health, Good Natures and to the Breed Standard. 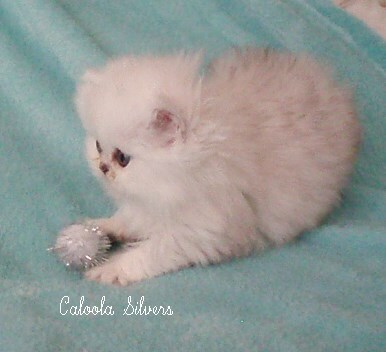 Caloola kittens have clear coat colour, sweet, open faces with large expressive eyes of the correct colour. 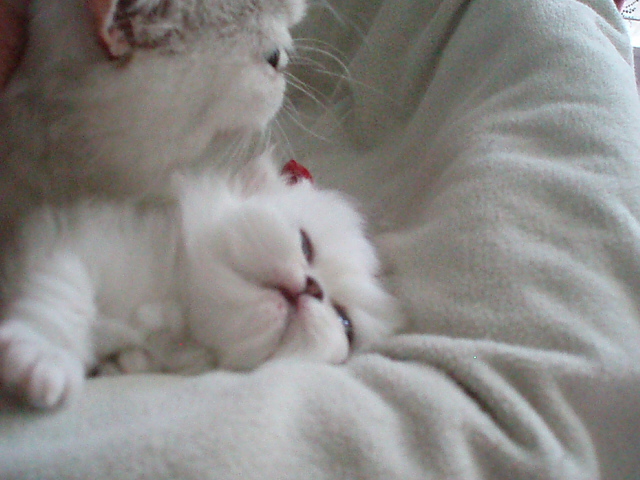 We only sell our kittens to FOREVER, loving INDOOR homes where the kitten is considered as one of the family. 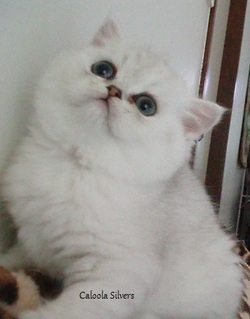 We prefer to sell our kittens in New South Wales rather than ship interstate. We like to meet our kitten purchasers in person. 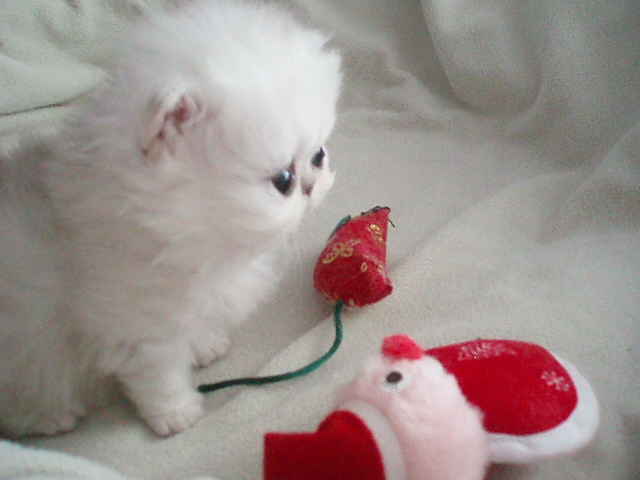 Pet kittens usually do not leave home until at least fourteen to sixteen weeks of age. This is to make sure all appropriate Vet work is completed but we assess each kitten individually to determine when they are ready to leave. They are used to being groomed regularly, bathed and blow dried and will be bathed and groomed before they go to their new home. 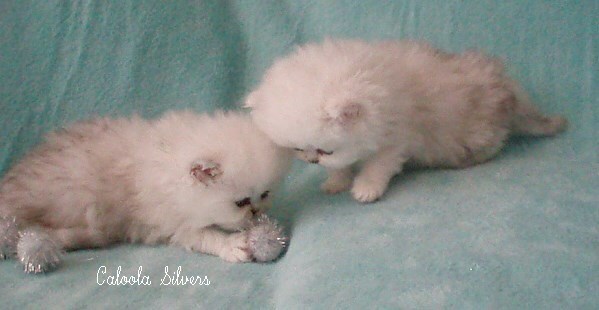 Please visit our AVAILABLE page to see when we will have kittens. We will ask you to sign a Sales Agreement which is our guarantee to you that the kitten is genetically sound and healthy when sold. 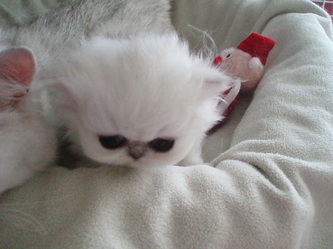 Once you are offered a kitten we require a non refundable deposit of $250 to hold him/her for you. PLEASE DO NOT ASK US FOR A PET KITTEN IF YOU DO NOT WANT IT TO BE DESEXED. This is a condition of Sale. 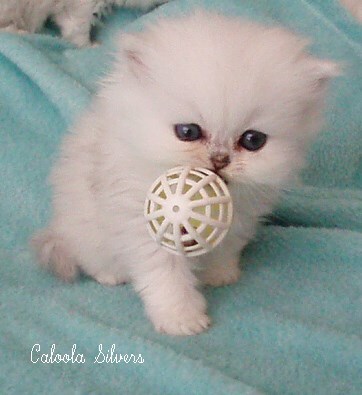 WHY WAIT FOR A CALOOLA KITTEN? 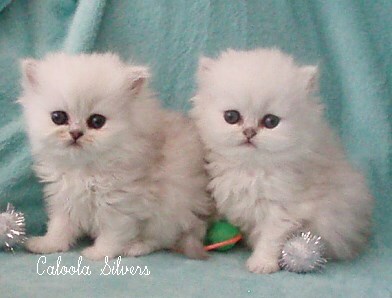 We have over 30 years experience breeding only Silver Persians and Exotics. 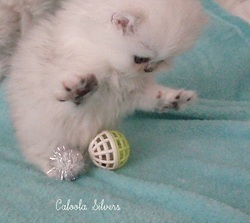 CALOOLA kittens are born and raised in our home and receive daily love and attention. We are always available for advice. We offer ongoing lifelong support of your kitten/cat. 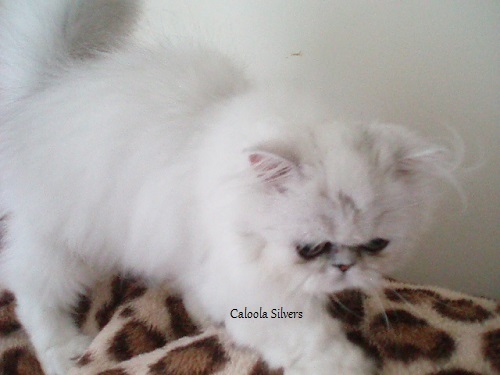 CALOOLA kittens are all guaranteed healthy when sold and well socialized. We do not use other colours in our breeding program therefore eye and coat colour is to the standard. 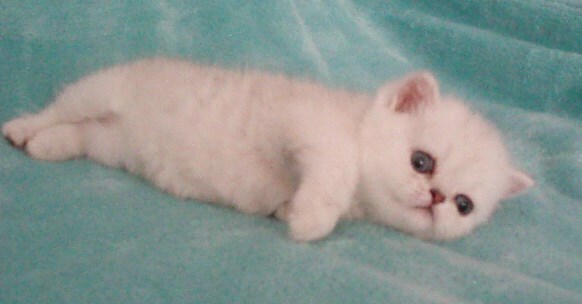 Our prices are reasonable considering we have imported from overseas and breed with some of the worlds best bloodlines. 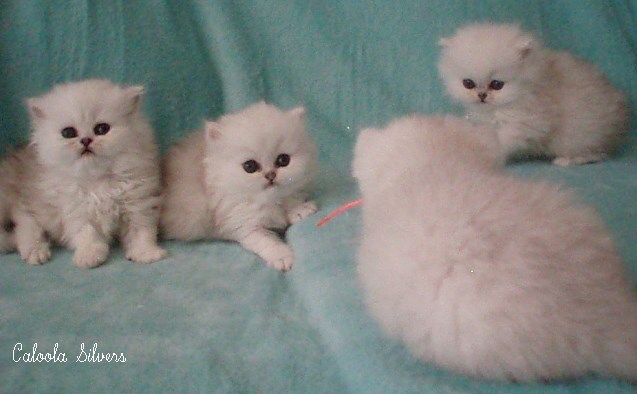 We keep our litters to a minimum per breeding season so each kitten receives the daily attention they deserve. CALOOLA Show Results have proven that our bloodlines are among the very best available, consistently achieving﻿ high awards. Please remember when you come to collect your kitten to bring a suitable decent sized sturdy cat carrier with you. (with a blanket) We will not let kittens leave if you do not have a cat carrier to take your kitten home in. cheap variety stores, pet supply shops and some Vets. You will need a carrier for any trips to the Vet in the future.